Imagine your customers having the chance to pick an envelope for the chance to win a big prize – paid for by us! Envelope type draws are so much fun, they appeal to all ages and are a really inexpensive way to offer a great promotion. And you can make the draw itself into an exciting promotion in itself. Up to $1m – For Picking an Envelope! Lucky Envelope Draws are such a popular and exciting promotion which Prizetech can adapt to so many situations. You decide what the qualification criteria will be, we’ll provide the details for the lucky envelope draw with a prize up to one million dollars! One envelope from a barrel (containing 10, 50, 100, 150 or 250 envelopes). Combination which may be 2 from 12 or 3 from twenty or whatever combination you need. 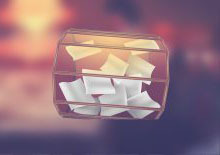 Draw Till You Win – Awesome for company logos or product promotions, the contestant draws X envelopes. An agreed number of matches results in a big payout – covered by our insurers. You’ll see full details on this on the Draw Till You Win tab. You can consult Prizetech as we can develop an envelope draw to meet any budget and we have some mighty promotional ideas. You can even add insured or uninsured minor prizes. An example includes a $500,000 first prize, a luxury car as a second prize (both insured) with various sponsor prizes (uninsured) covering all other selections.